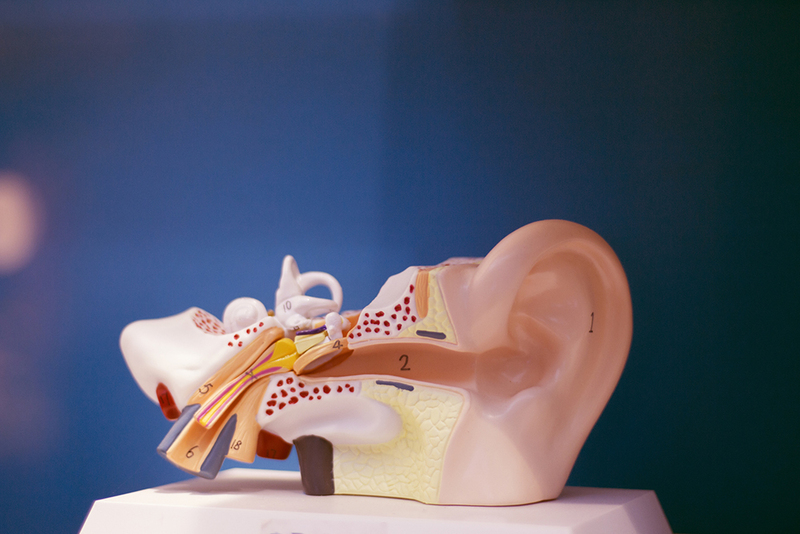 Learn all about what Advanced Hearing Solutions can do for you. Advanced Hearing Solutions specialises in the management and rehabilitation of hearing loss. If you are not eligible for hearing services under The Australian Government Hearing Services Program, you can have your hearing health assessed as a private patient. See the OHS, NDIS & DVA section to check your eligibility for the Australian Government Hearing Services program. What is involved in a hearing assessment? 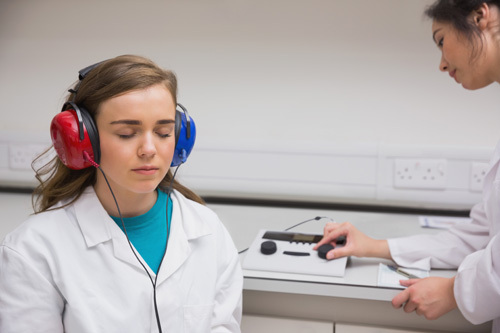 Impedance testing: We will check how well your eardrums, the middle ear bones and your ears’ reflexes respond to changes in sound level and air pressure. Pure tone assessment: A series of beeps will be presented to you to determine your hearing levels. Speech assessment: We check to see how well you understand and hear spoken words. All tests are completed to give us a better idea of your hearing health and determine if a hearing rehabilitation plan is required to help improve your hearing. What is a hearing rehabilitation plan? Provide ongoing care and device repair services. Advanced Hearing Solutions is a fully registered and approved provider of The Australian Government Hearing Services Program. This program is managed by the Office of Hearing Services (OHS) and provides eligible Pensioners, Department of Veterans Affairs (DVA) and National Disability Insurance Scheme participants with fully subsidised hearing assessments, services and hearing devices. Referred by the Disability Employment Services (Disability Management Services) Program. A Pensioner Concession Card holder. A dependent of a person in one of the above categories. Please note a Seniors Health Card does not provide eligibility for the program. A Department of Veterans’ Affairs Gold Card holder. A Department of Veterans’ Affairs White Card holder issued for specific conditions that include hearing loss. How do I access hearing services? If you think you may be eligible for the voucher component of the program, you can click here to check your eligibility. If you meet the eligibility criteria you can apply by selecting Apply Now on the OHS website at www.hearingservices.gov.au. If you prefer not to apply online, please visit us at the clinic and we will be happy to assist you with your application. Your child’s speech and language development. 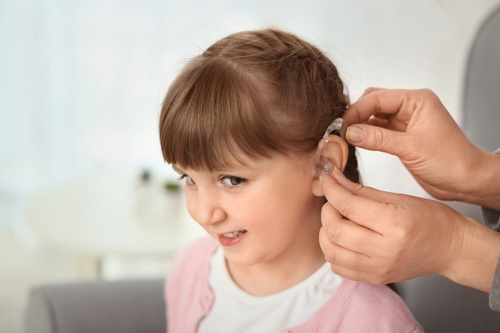 Your child’s school expressing concerns regarding your child’s listening behavior. A history of hereditary hearing loss in your family. Your child may benefit from a formal hearing assessment. What type of testing is performed in a paediatric hearing assessment? Play Audiometry (Age 2 -5): Sounds will be played to your child using headphones and the hearing test will be performed by playing simple & fun games. Pure Tone Audiometry (Age >5): A series of beeps and tones will be played to your child using headphones and they will be asked to press a button when they hear a sound. 2. A test of their middle ear health will be performed. Eardrum Test: A small probe will be placed in to your child’s ear to check how the eardrum responds to a gentle puff of air. 3. A Speech assessment test will be performed and the difficulty will be determined based on your child’s age and developmental abilities: check to see how well your child understands and hears spoken words. Speech Discrimination Test: This is performed to check how well you child understands and responds to spoken words. Advanced Hearing Solutions is a registered Work Health & Safety Hearing Service Provider for SIRA, iCare, & WHS NSW. 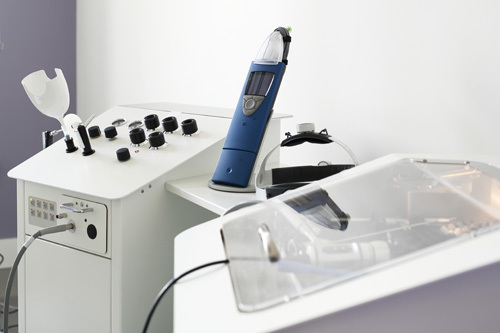 Our clinicians are fully qualified to assist you with your concerns with noise-induced hearing loss, industrial deafness claims, pre-employment testing and occupational noise management and monitoring. Get a baseline reading of your hearing levels for future monitoring purposes. Ensure that your hearing levels meet specific workplace safety needs. Determine the presence of a pre-existing hearing loss. Advanced Hearing Services is a fully qualified and approved Work Health & Safety Hearing Service Provider for SIRA, iCare and WHS New South Wales If you are concerned about your hearing, and believe that your hearing levels may have changed as a result of your employment we can assist in evaluating your hearing levels and assist you with making a claim. Advanced Hearing Solutions is qualified to perform pre-cochlear implant assessments. 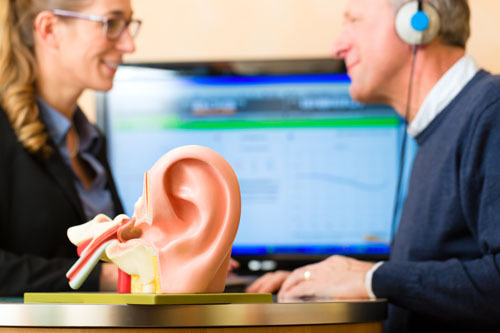 They are also experienced in performing comprehensive hearing assessments that measure the changes in hearing levels that may occur during medical treatment. Otoscopy: Visual examination of the eardrum and external part of the ear. Unaided Pure Tone Assessment: A series of beeps will be presented to you to determine your hearing levels without your hearing aids. Unaided Speech Assessment: We check to see how well you hear spoken words without your hearing aids. 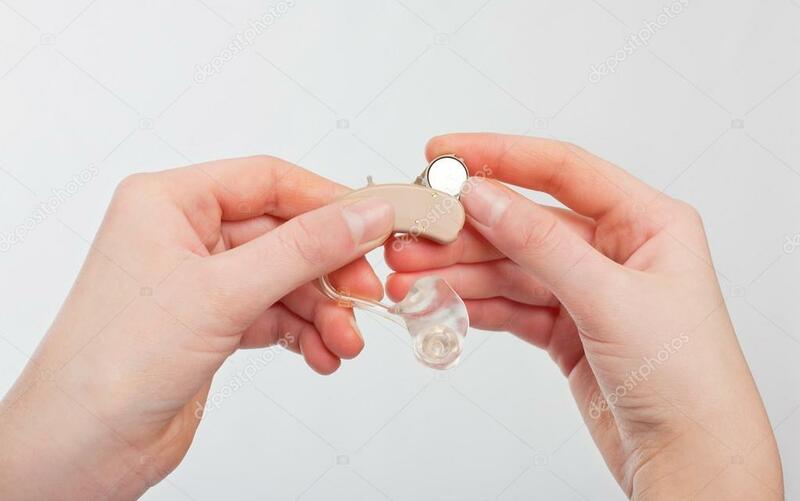 Aided Speech Assessment: We check to see how well you hear words in a quiet listening situation and in noise whilst wearing optimally fitted hearing aids. In addition to the above core audiological assessments, the Cochlear Implant Program will perform additional complex testing. What is Ototoxicity? It is simply defined as poisoning to the ear that can result from exposure to certain drugs or chemicals. The effects of ototoxicity can be reversible and temporary, or permanent. As such, your doctor may want to monitor your hearing levels by obtaining a pre-treatment baseline measure, and repeat the hearing tests during the treatment and after the treatment has been completed. Platinum-based chemotherapy agents such as cisplatin. A number of nonsteroidal anti-inflammatory drugs have also been shown to have an ototoxic effect. Duis lobortis massa imperdiet quam. Pellentesque habitant morbi tristique senectus et netus et malesuada fames ac turpis egestas. Vestibulum eu odio. Suspendisse enim turpis, dictum sed, iaculis a, condimentum nec, nisi. Nam commodo suscipit quam. Aenean vulputate eleifend tellus. Curabitur at lacus ac velit ornare lobortis. Quisque id odio. Etiam iaculis nunc ac metus. Aenean tellus metus, bibendum sed, posuere ac, mattis non, nunc. Fusce fermentum odio nec arcu. In ac felis quis tortor malesuada pretium. Suspendisse non nisl sit amet velit hendrerit rutrum. Praesent venenatis metus at tortor pulvinar varius. Integer ante arcu, accumsan a, consectetuer eget, posuere ut, mauris. Fusce a quam. Nulla neque dolor, sagittis eget, iaculis quis, molestie non, velit. Fusce risus nisl, viverra et, tempor et, pretium in, sapien. Advanced Hearing Solutions is available to provide comprehensive clinical training for nursing home staff, and offers student doctors training on hearing health. For more information please contact us.